Even though it is over a year old, the 10.1 inch Samsung Galaxy Tab Pro is still an impressive tablet. 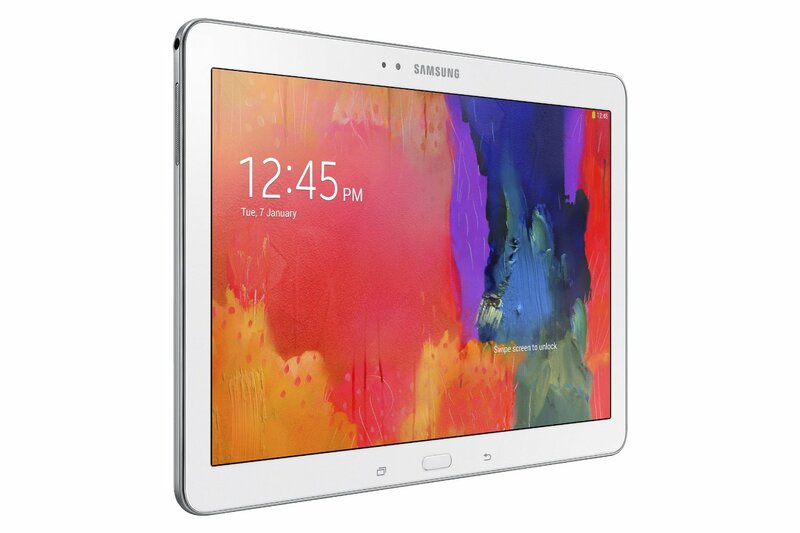 Its hi-res 2560x1600 display paired with a 1.9GHz Samsung Exynos 5 Octa processor gives this device more pixels and power than almost any other Android tablet on the market – even those that are much newer. At launch, the asking price for the device was a cool $500. If you were tempted to buy one then, but decided to hold off then congratulations, your patience has been rewarded. 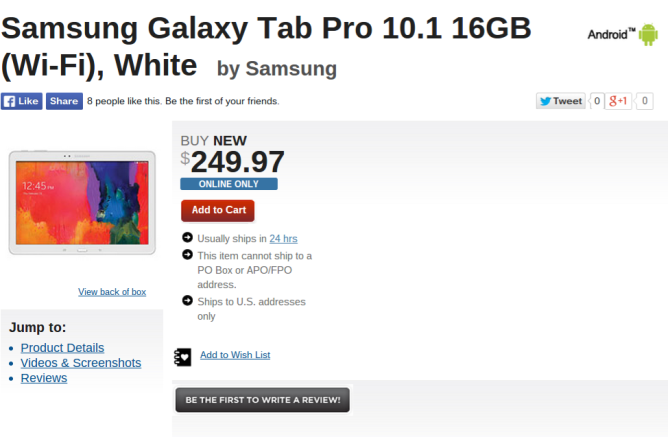 GameStop has the white 16GB model of the Samsung Galaxy Tab Pro 10.1 marked down to just $249, a full 50 percent off retail and $90 less than what it's listed for on Amazon. The Tab Pro ships free anywhere in the US in 5-10 business days, but if you want to try and get one as a slightly belated Mother's day gift you can spring for one-day shipping for $17. The price is valid online only, and I don't expect the inventory to last long, so if you're interested hold off on making silly comments below until after you place your order.